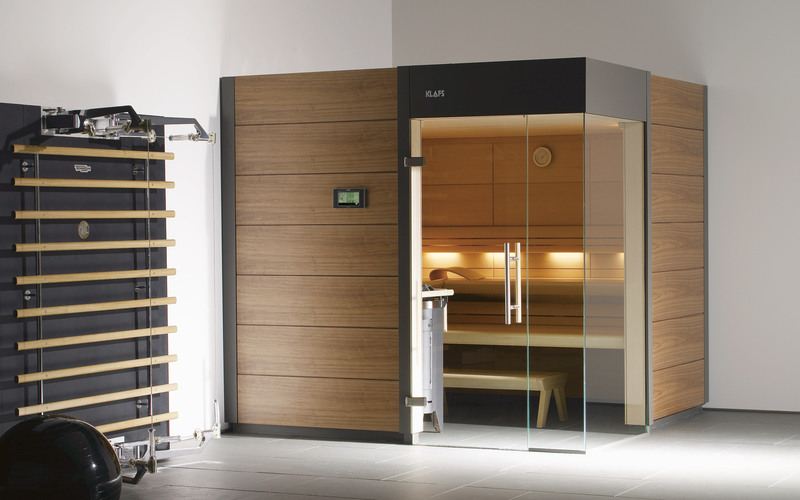 As individual as their owners: KLAFS offer a wide range of saunas to suit all tastes and requirements. Choose your favourite! 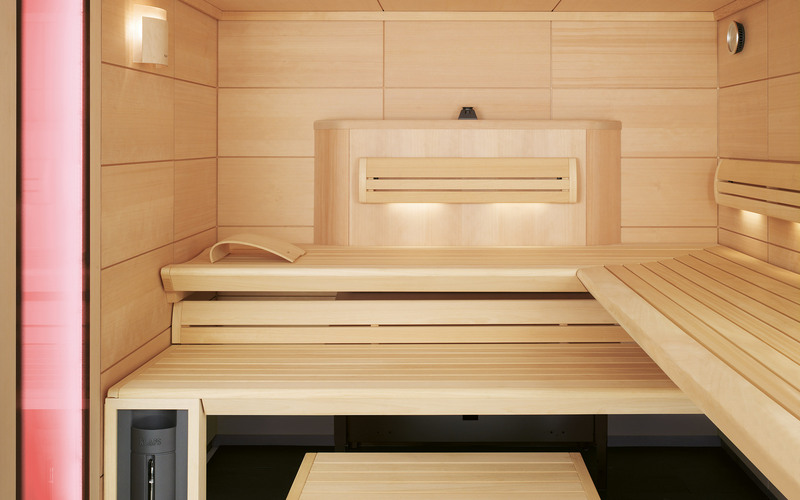 SHAPE sauna has a sporty, modern design. Protruding glass front over the corner with rotating half-tone screen-printing. Elaborately refined external panelling with asymmetrical curved surface, 3D depth effect in a modern black-brown colour. 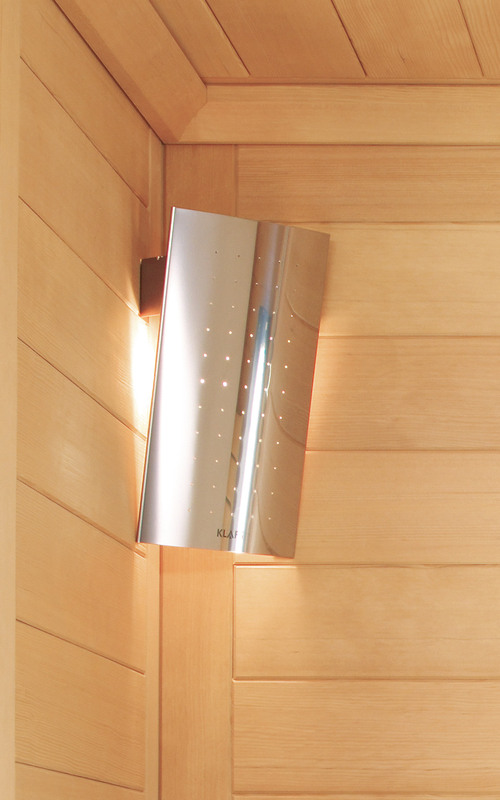 The compact, free-hanging PLURIS sauna heater ensures intensive infusions. 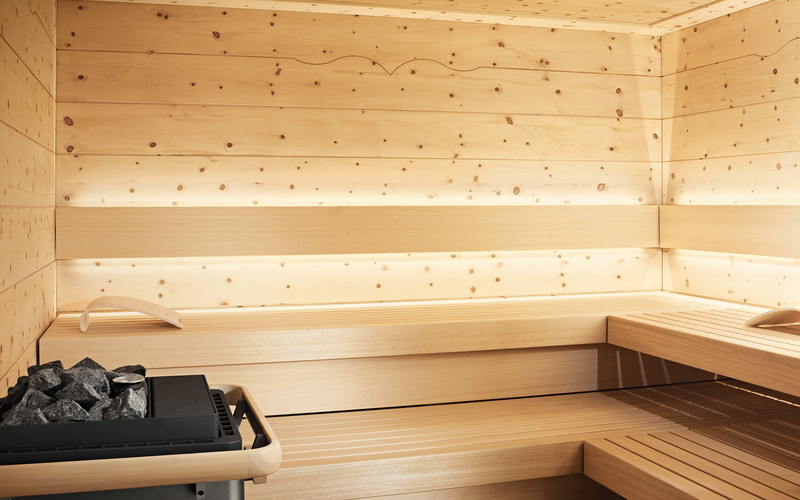 Thanks to a large touch display and intuitive user interface the 18029 sauna control unit is easy to use. Installation by our trained expert fitters. 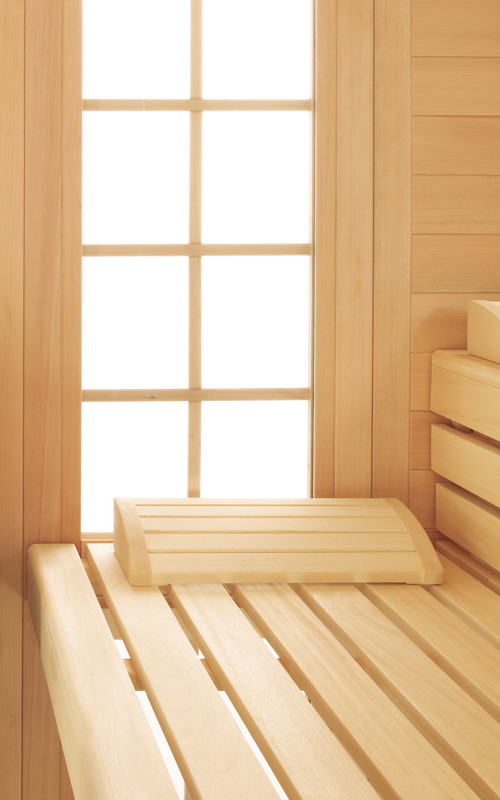 A 10-year domestic-use warranty on your sauna and a 5-year warranty on the sauna heater and sauna control unit. 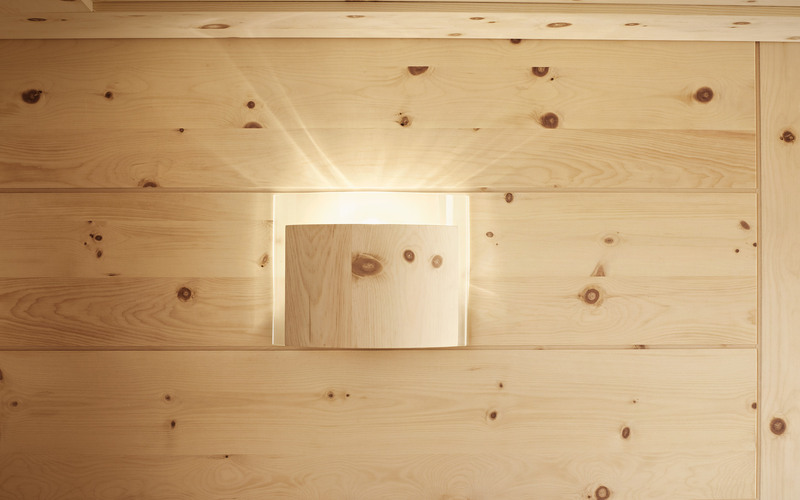 The purist cabin is simple and elegant. Nominated for the German design award 2011. The white high-gloss exterior blends stylishly into any environment. PURE bench furnishings are in two layers and can be moved. 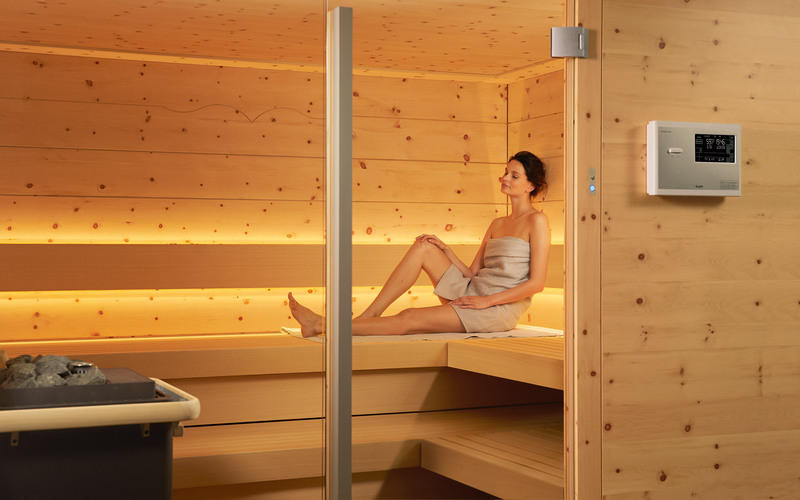 The PLURIS sauna heater is VDE compliant and together with the KLAFS exhaust air system, ensures the perfect climate in the cabin. 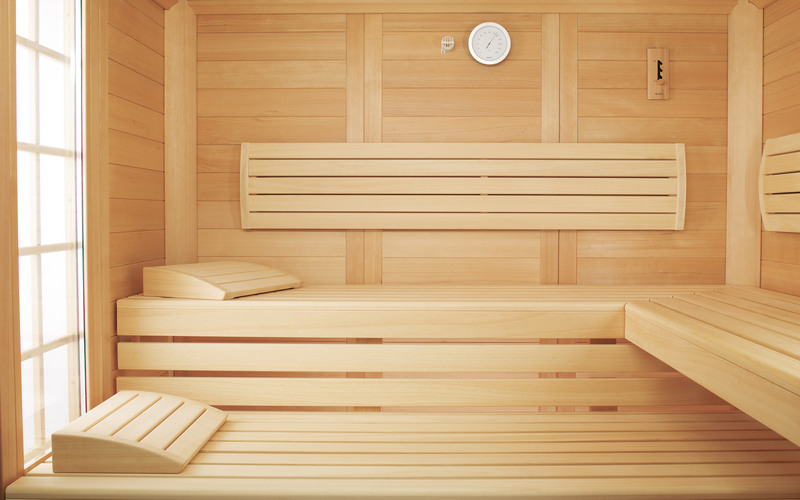 18029 sauna control unit with microprocessor technology, large, illuminated touch display, 24-hour timer, electronic temperature regulation, and numerous connection options. 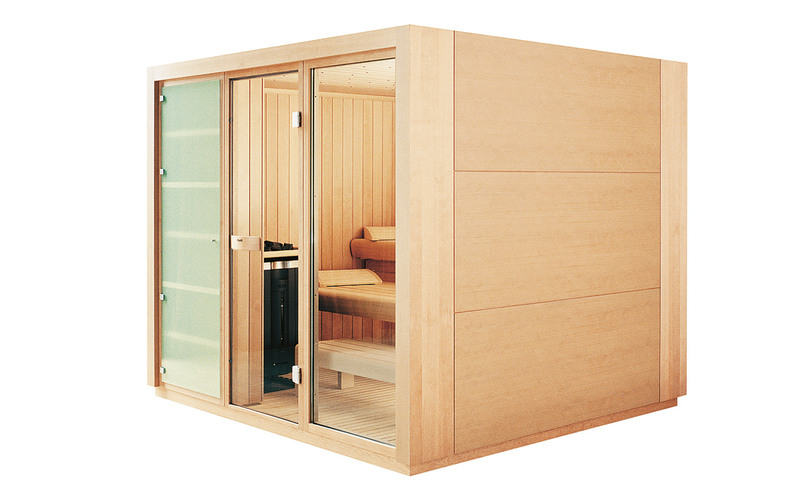 Open design of the PROTEO design sauna with glass door and large window. External panelling in a choice of aspen, hemlock or mirror panels. Curved, holistic design of back supports and bench furnishings. Translucent shelf doors in salmon pink or green encourage an impression of ‘openness’. 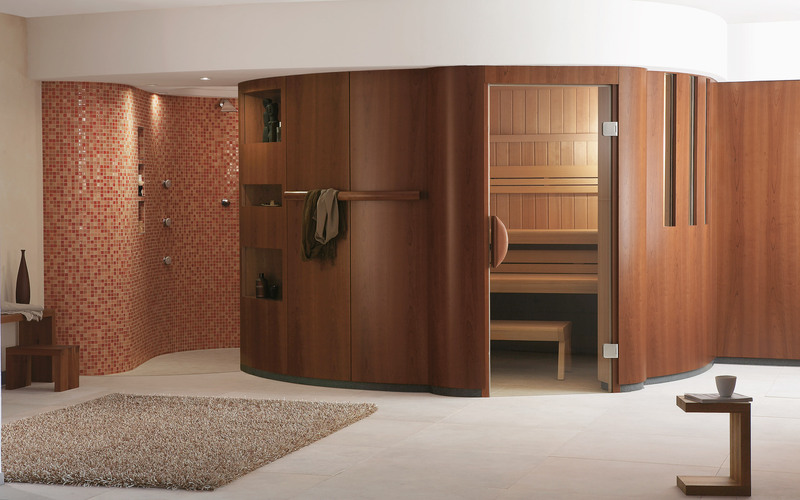 Ensure the PREMIUM sauna reflects your personal taste with a large selection of external panelling. 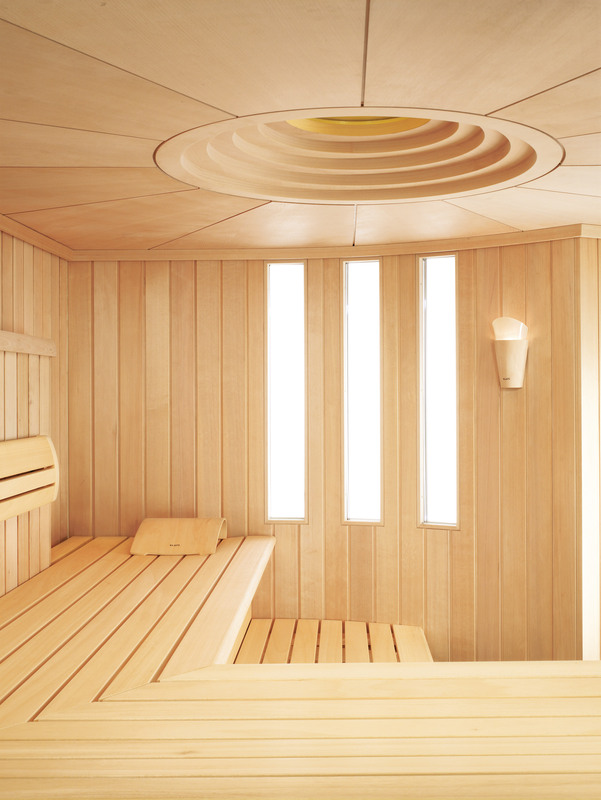 Regardless of whether you choose a round or square layout, have it as a niche installation, or whether it’s under the roof or in the basement, there’s the perfect size sauna for every room. High-quality standard equipment includes ergonomic headrests, backrests and panels between the benches. 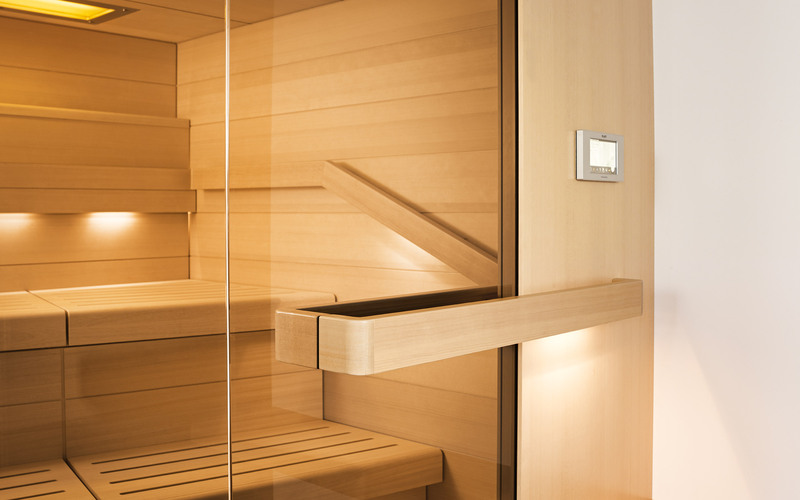 The PREMIUM sauna can be further refined by the optional design package. 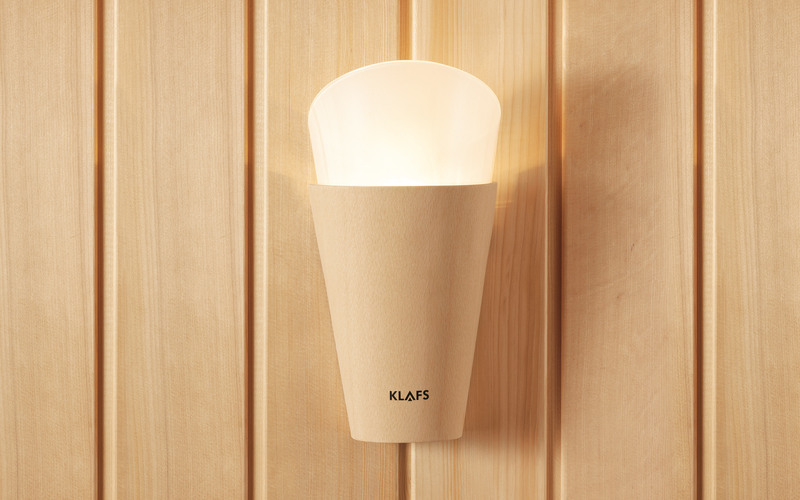 The 18028 control unit and the PLURIS heater (both VDE certified) work with the KLAFS exhaust air system to ensure the optimal climate. 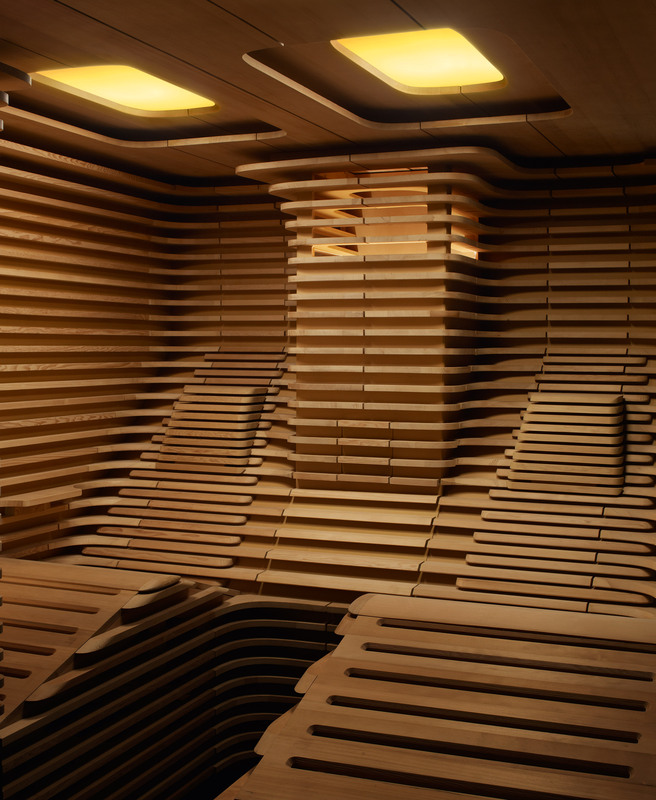 Created by design duo Matteo Thun & Antonio Rodriguez. 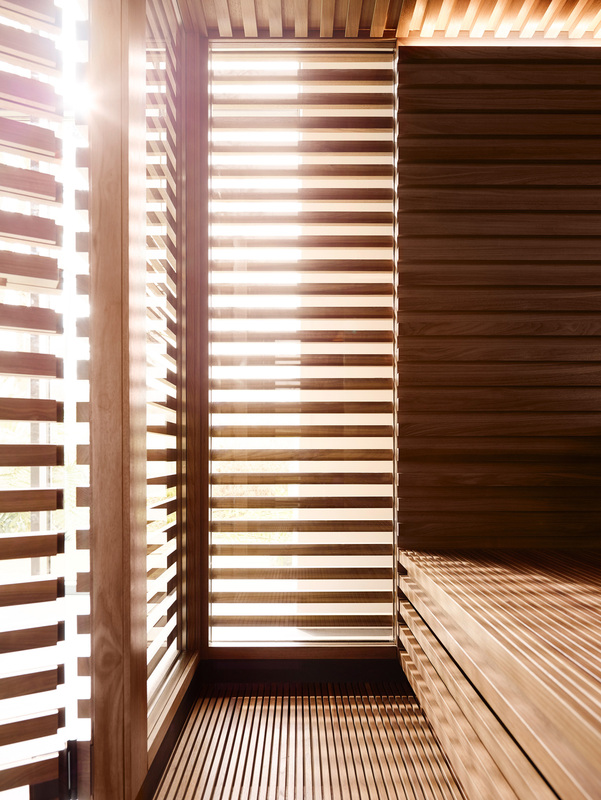 The perfect retreat, shielded from the outside world, yet offering outward visibility. 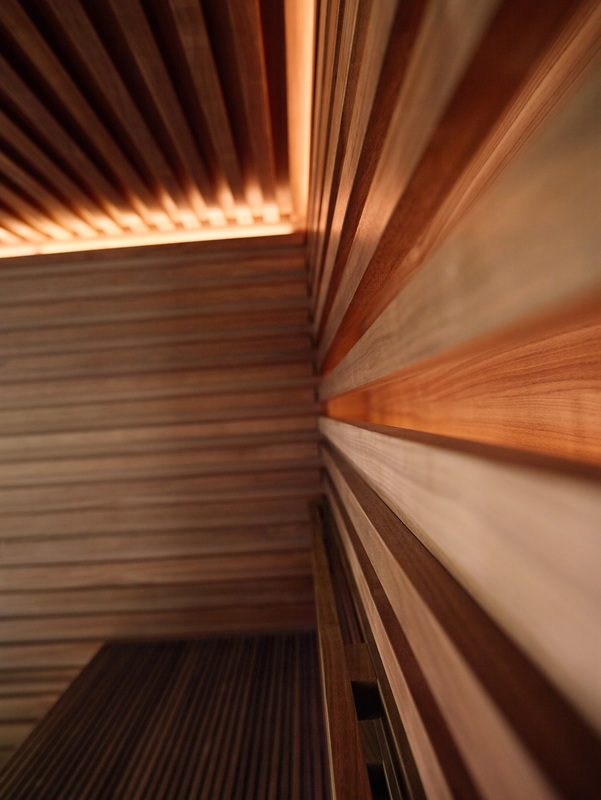 Indirect lighting design, clean lines and cubic volume. 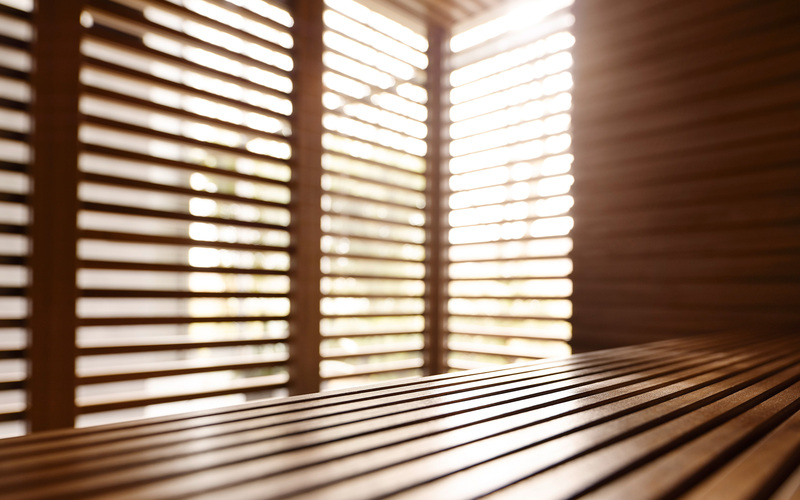 Neither distracting elements nor visible technology will distract you in the pursuit of relaxation. 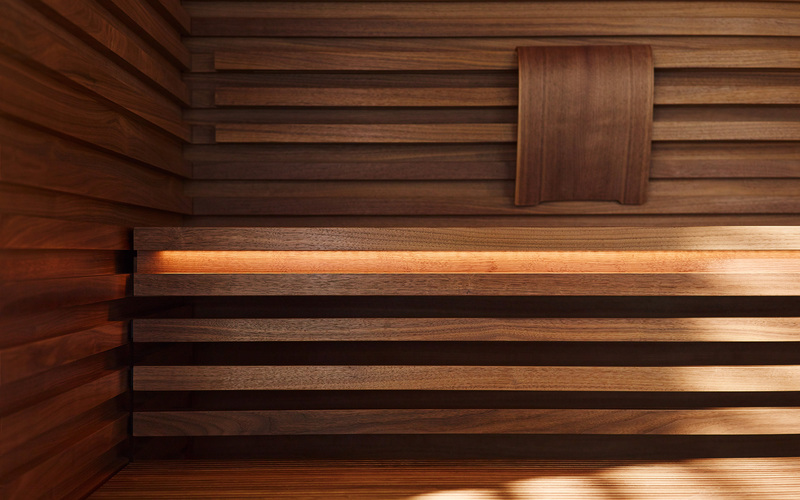 Under-bench sauna heater and elegant flat design of the control module. Clear lines, simple elegance and perfect interior workmanship. LOUNGE comfort benches and avant-garde headrests. 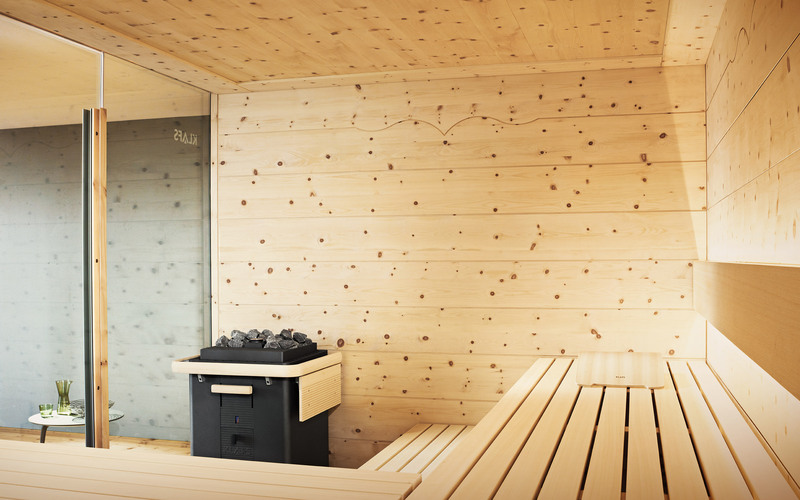 The PLURIS sauna heater and the 18028 control unit (both VDE tested) are combined with the KLAFS exhaust air system for the perfect climate. Installed by our trained expert fitters. The interior boasts clear shapes, simple elegance and perfect workmanship. 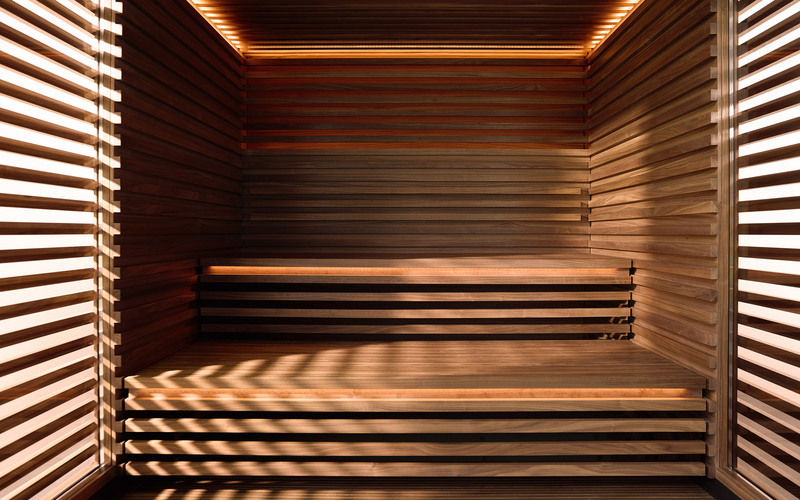 Zen-inspired interior enables emotional relaxation. Avant-garde headrests moulded from a single piece of wood. 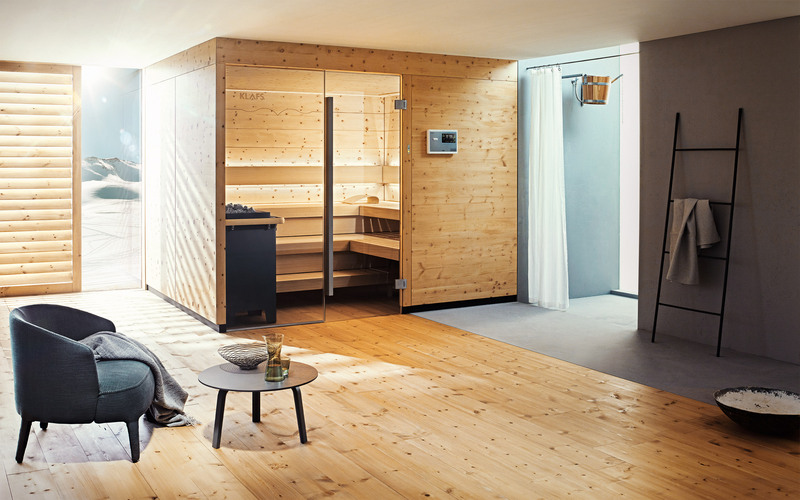 The 18028 control unit and the PLURIS sauna heater (both VDE certified) work with the KLAFS exhaust air system to ensure the optimal climate. High-quality thermal insulation with a strong vapour barrier. 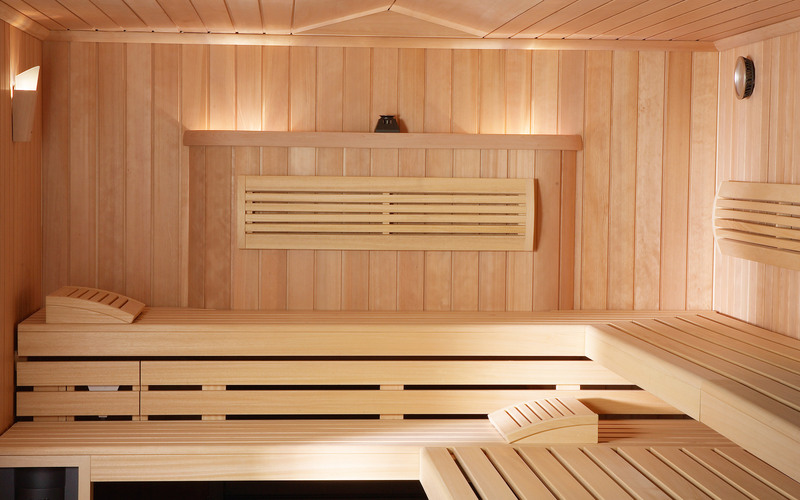 The EMPIRE sauna has been awarded “The Blue Angel” environmental label. 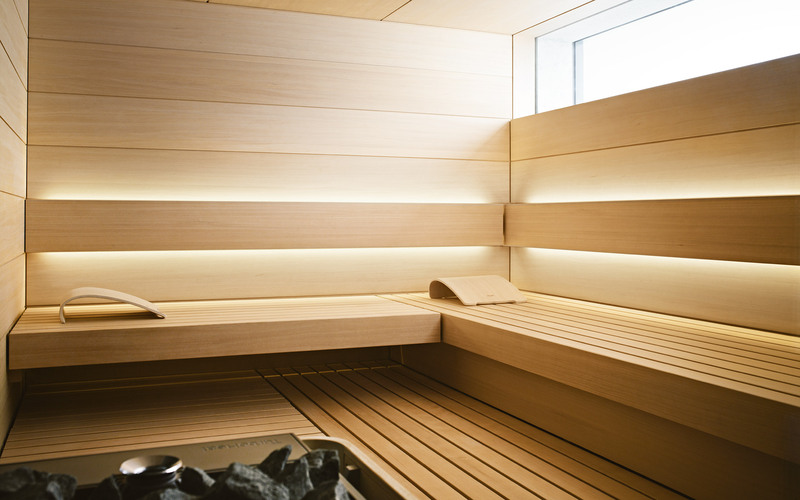 Finnish originality is reflected in the solid wood construction from one type of wood. Available in all imaginable sizes and layouts available. 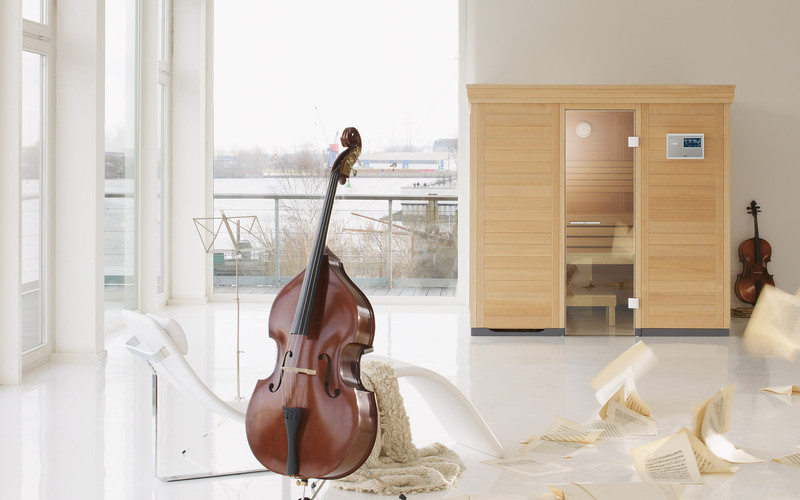 Available in two different types of wood, Karelian spruce or Canadian hemlock. 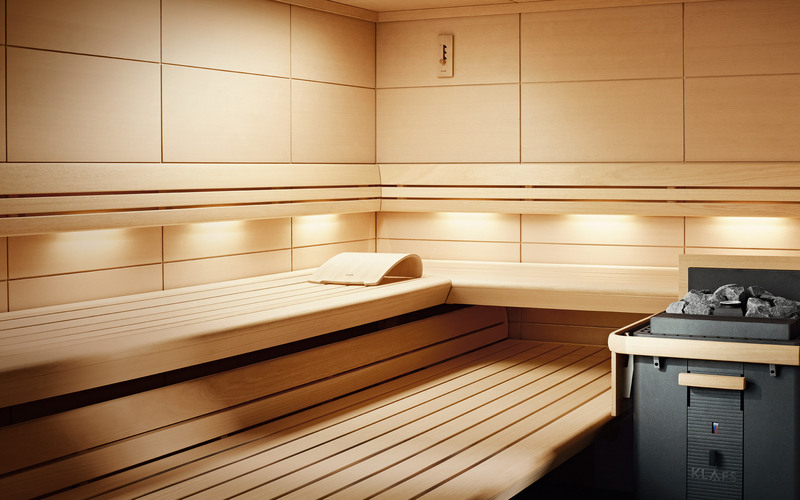 All-Generation Sauna – COMFORT, suitable for all ages. 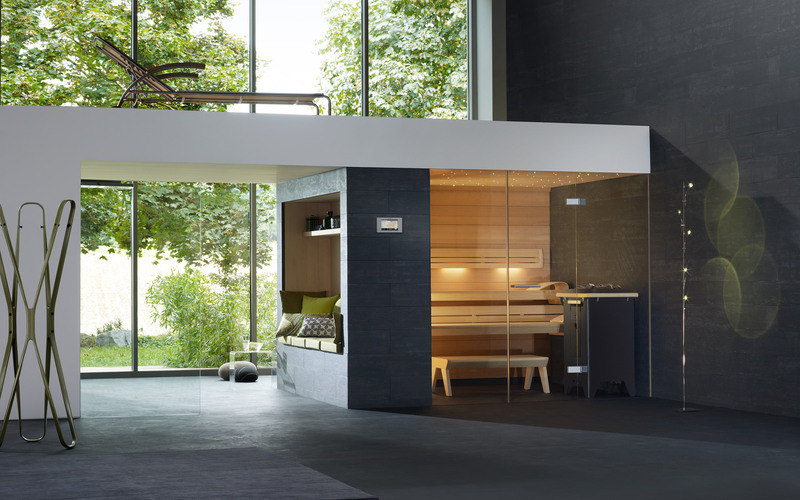 A sauna that meets the needs of the whole family. 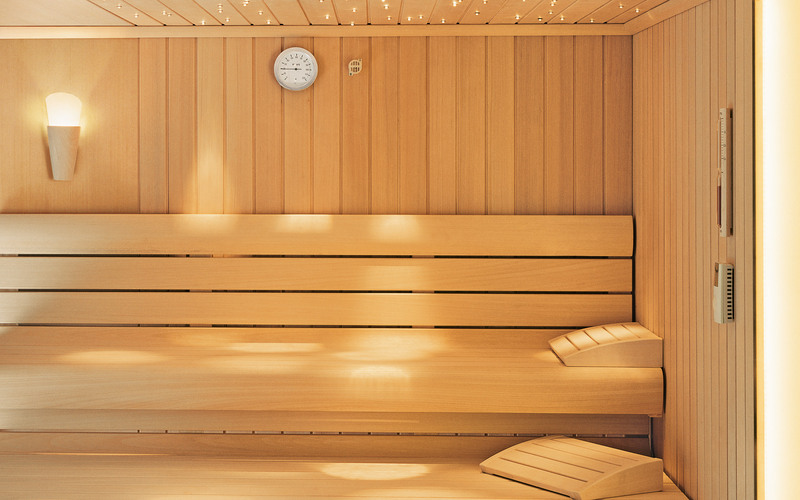 Spacious sauna benches for comfortable sitting and lying positions. Newly developed door handle for an ergonomically optimised grip. Lower step heights and entrance for easier ascent. Installation is carried out by our trained expert fitters. 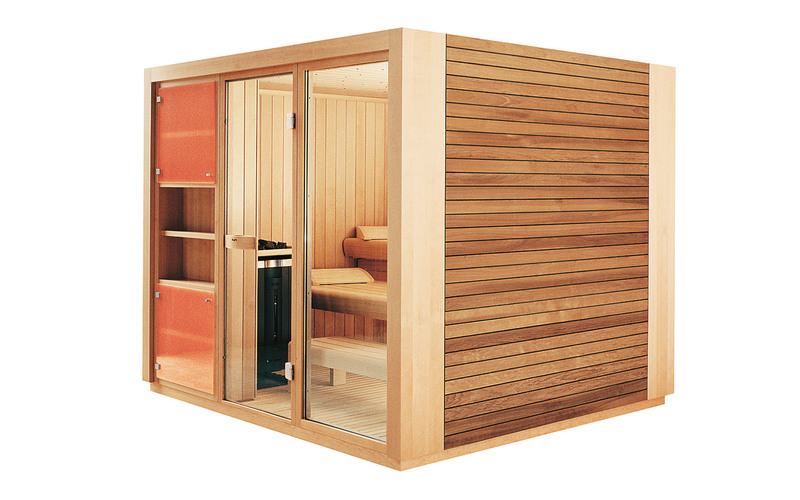 The CHARISMA design sauna sweepingly and harmoniously blends into the room. Integrated CHARISMA shower with choice of tiles or mosaics, shower head, power shower, Kneipp hose and 6 head and body jets. Numerous storage compartments and additional practical details for increased comfort. 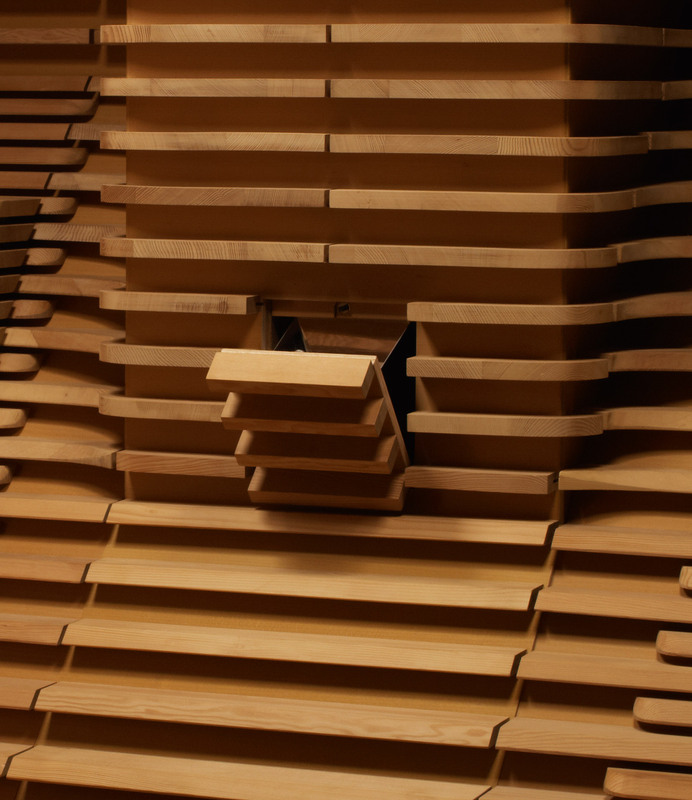 The external panelling is available in various wood veneers. 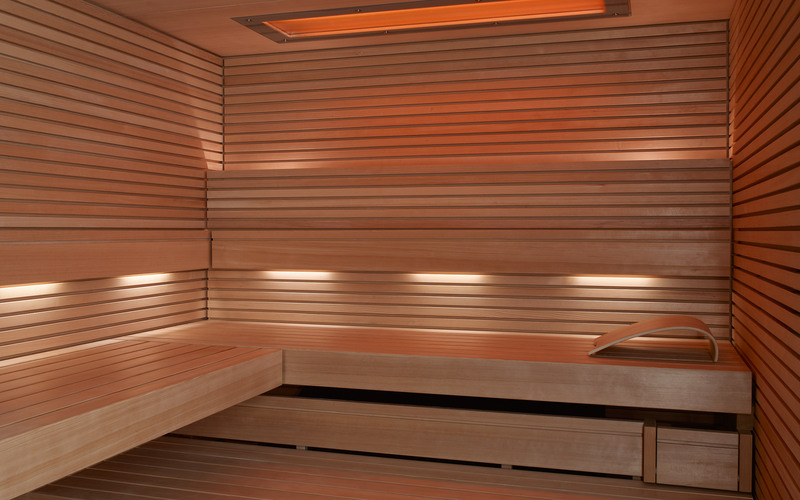 The BONATHERM under-bench heating system allows for a larger seating area. 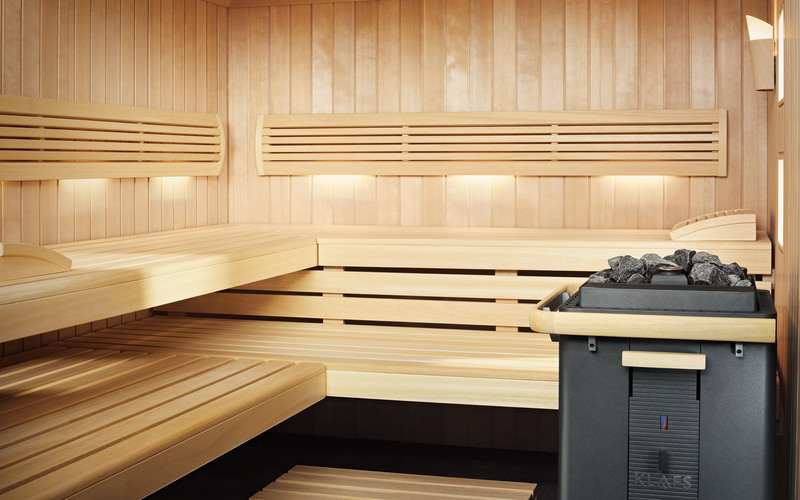 The 18029 sauna control unit with microprocessor technology has a large, illuminated touch display, 24-hour timer, electronic temperature control, and numerous connection possibilities. Exquisite design in true CHALET character. The suspended ceiling and decorative elements on the walls provide traditional accents. 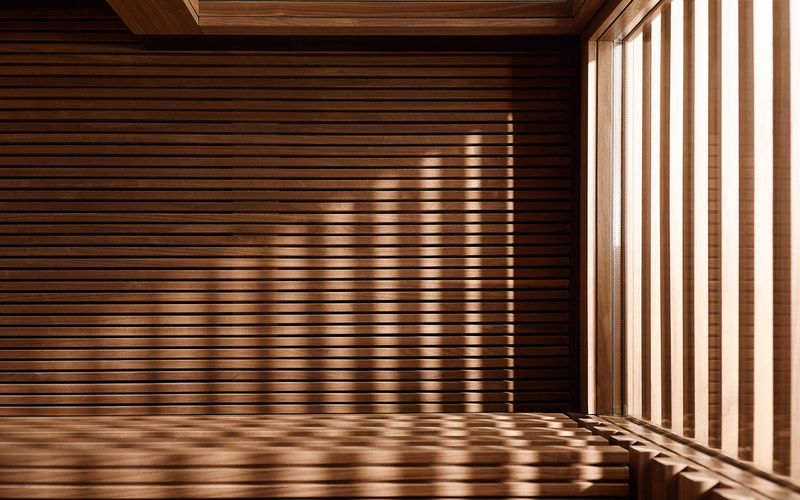 Interior panelling in horizontally arranged Swiss stone pine veneer panels. The bench furnishings exude puristic elegance. 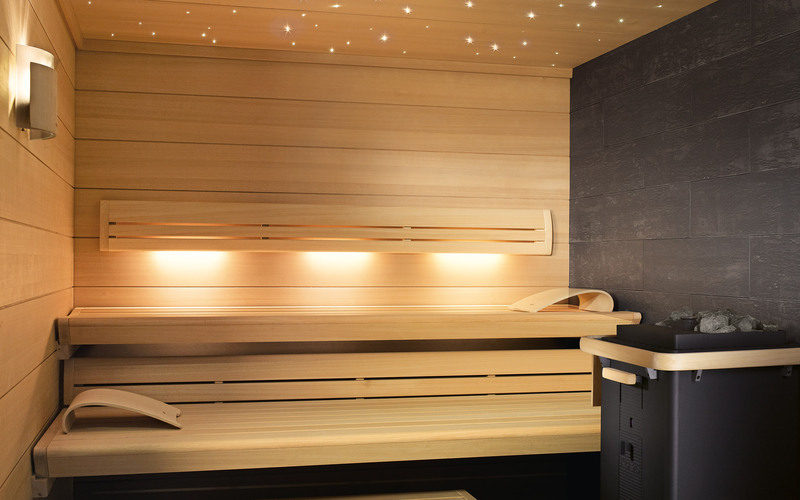 The 18029 sauna control unit with microprocessor technology has a large, illuminated touch display, 24-hour timer, electronic temperature regulation, and numerous connection options. The extravagant appearance makes this something very special. Limited edition of only 111 cabins. By designer and interior decorator Nik Schweiger. 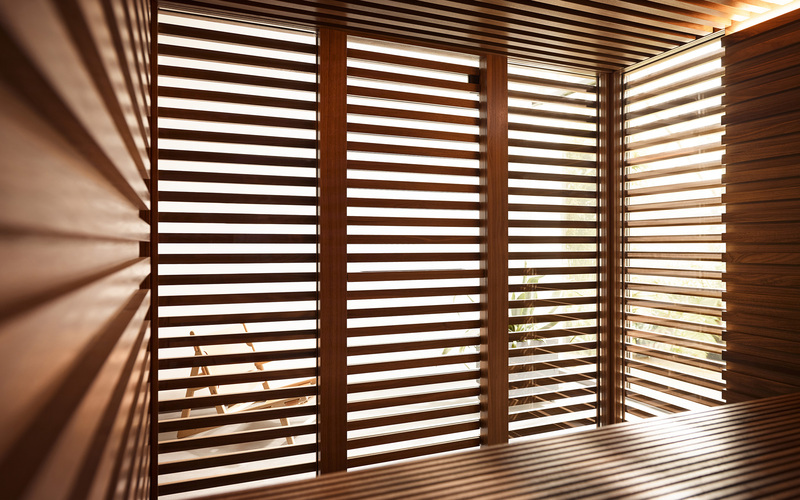 The circumferential slats of the external panelling are captivating. The interior is fashioned from one block. The body-shaped benches are perfectly adapted to the human anatomy. Constructed by trained expert fitters. 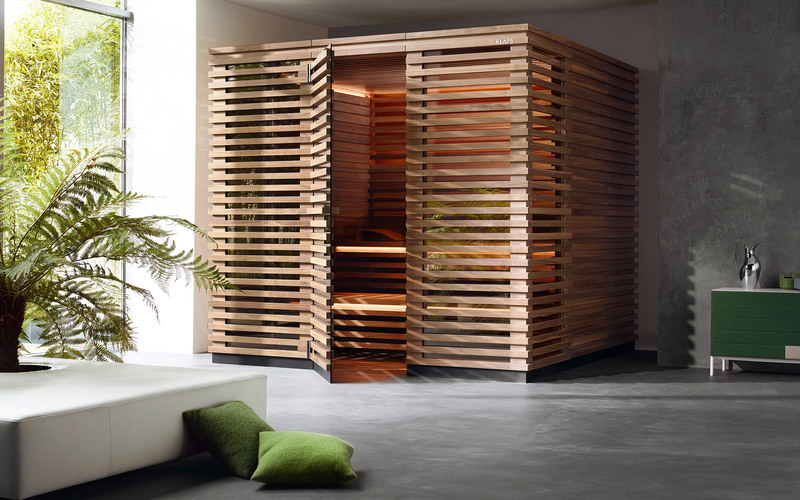 The VENTANO design sauna is characterised by simple elegance. External panelling in black walnut. 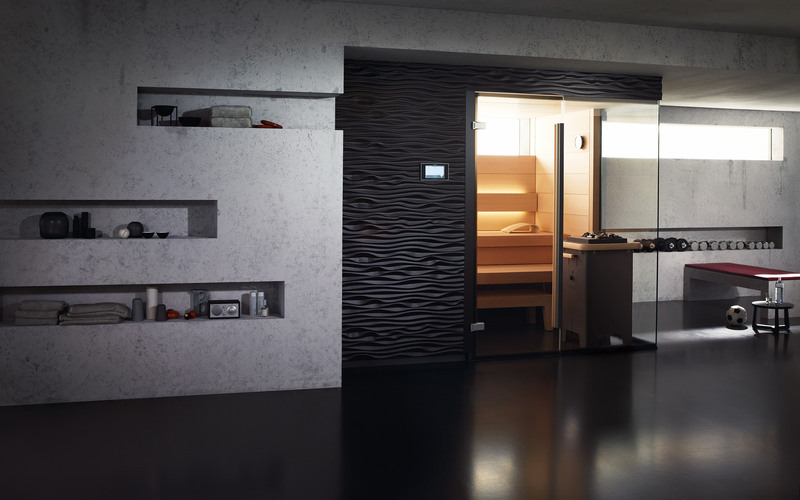 Protruding door area with all-glass corner and stainless steel DUET DELUXE designer handle. 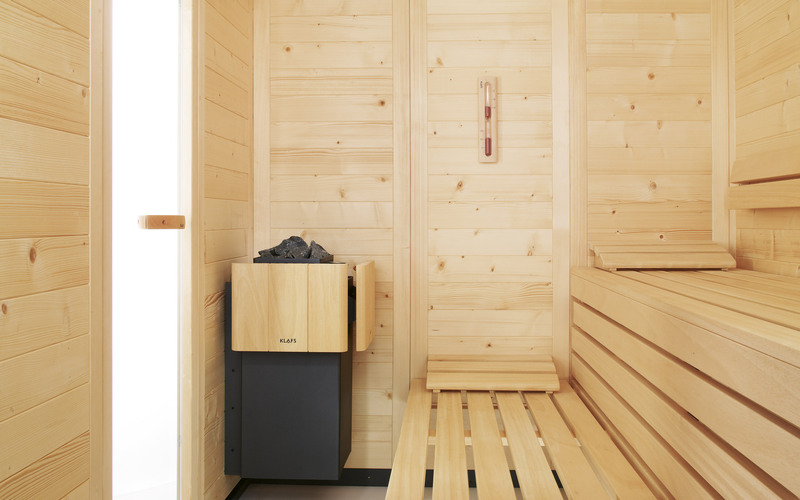 The MAJUS sauna heater ensures intensive infusions with its large quantity of stones and turbo heat function.